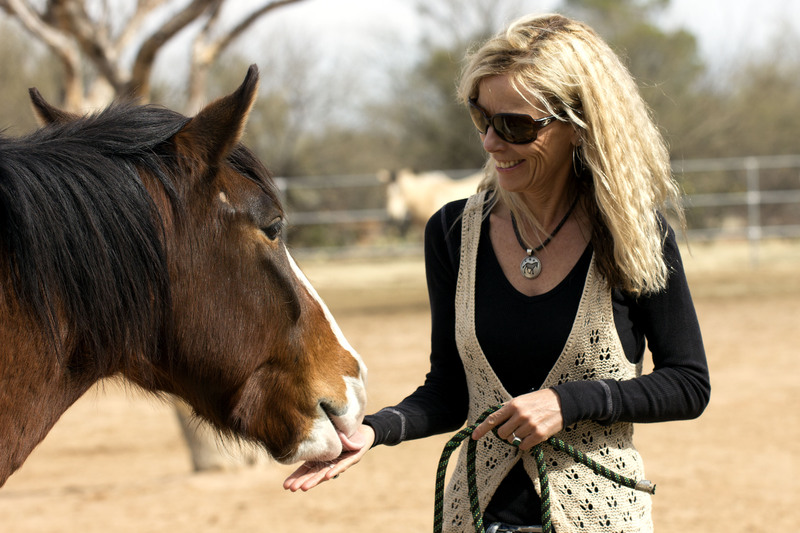 Karen Pomroy, of Equine Voices, greets Blaze. Blaze is a “wild” Sahuarita horse who now lives at Jumpin’ Jack Ranch. Photograph by Susan E. Swanberg. The hoof prints of unshod horses punctuate the wash between Rancho Resort and the Mission Mine in Sahuarita. The prints vary in size, but all are smaller than the feet of an average-sized quarter horse. It’s early March, and the wild horses of Sahuarita are back – though some wonder if they ever really left.